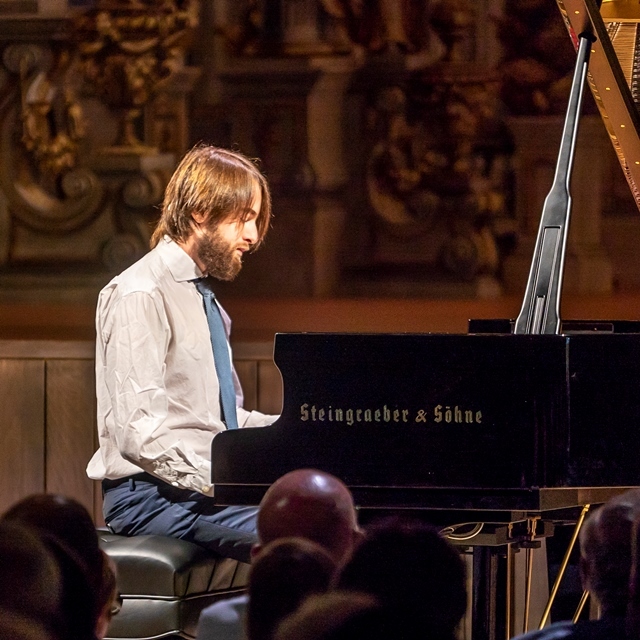 On July 23, 2018, Daniil Trifonov, the Russian star pianist, gave his Bayreuth debut in the UNESCO World Heritage site “Margravial Opera House”. He performed a great concert on the E-272 Steingraeber concert grand piano. Due to an acute illness, he could only contest the first part of his Chopin program. 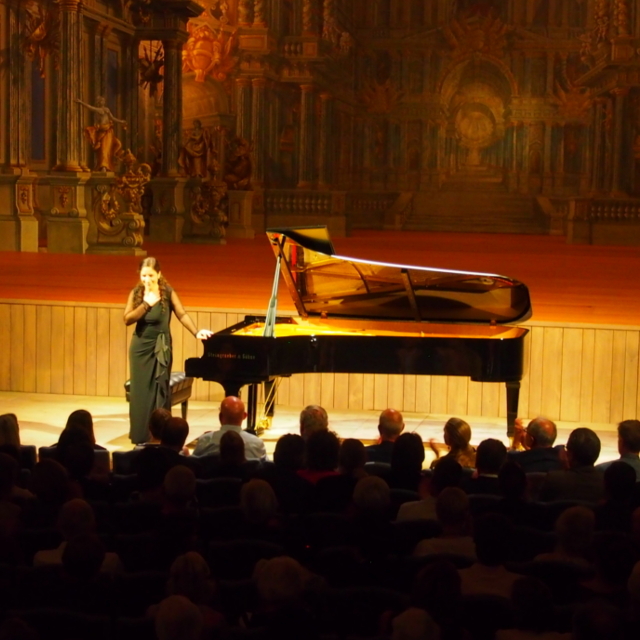 The second part of the concert was played by the dazzling Einav Yarden, who had arrived from Berlin at short notice. The Margravial Opera House Bayreuth is the only original Baroque opera house in the world, commissioned by Wilhelmine, built by Galli Bibiena and Joseph St. Pierre and re-opened on April 12, 2018, after seven years of restoration. Focusing on Chopin in the 2017-18 season, Trifonov releases Chopin: Evocation, his fourth album as an exclusive Deutsche Grammophon artist, which includes both works by Chopin himself and, marking Trifonov’s first foray into a new repertoire, works of 20th-century composers who were greatly influenced by the Polish master, including Samuel Barber, Federico Mompou and others. It was during the 2010-11 season that Trifonov won medals at the world’s most prestigious competitions, taking Third Prize in Warsaw’s Chopin Competition, First Prize in Tel Aviv’s Rubinstein Competition, and both First Prize and Grand Prix – an additional honor bestowed on the best overall competitor in any category – in Moscow’s Tchaikovsky Competition. In 2013 he was also awarded the prestigious Franco Abbiati Prize for Best Instrumental Soloist by Italy’s foremost music critics. For his Liszt-album “Transcendental” he earned in October 2017 his second German ECHO-Klassik-Prize, and in January 2018 a GRAMMY. Born in Nizhny Novgorod in 1991, Trifonov began his musical training at the age of five, and went on to attend Moscow’s Gnessin School of Music as a student of Tatiana Zelikman, before pursuing his piano studies with Sergei Babayan at the Cleveland Institute of Music. He has also studied composition, and continues to write for piano, chamber ensemble, and orchestra. Pianist Einav Yarden is praised for her “…imagination and exceptionally vivid playing…Sense of immense majesty, tempered by gentleness and quiet grace” (The Washington Post, USA), and “glistening rap-ture…ingenious humor” (Tagesspiegel, Germany). In 2013 she released her debut solo CD, ‘Oscillations’ on the label Challenge Classics. The CD received much international acclaim and was selected as CD-of-the-Month on the German piano magazine ‘Piano News’. In 2016 she released her second CD on Challenge Classics, featuring six Haydn sonatas. The CD was awarded the quarterly German Record Critics’ Award (Preis der deutsche Schallplattenkritik), selected as CD-of-the-Month on ‘Piano News’ and as CD-of-the-week on NPO 4 Radio in the Netherlands and was highly praised by the press. Noteworthy stages she performed on include the Berlin Philharmonie and Konzerthaus, the Beethoven-Haus Bonn, Berlin, the Phillips Collection in Washington DC, Rose Theater at Lincoln Center, the Schumannsaal in Düsseldorf, and in Paris’s Salle Cortot, and important festivals including the Ruhr Piano Festival (Germany), Ravinia Festival (USA), La Roque d’Anthéron, Verbier Festival (Switzerland) and others. Among her competition prizes is the Third Prize at the 2009 International Beethoven Piano Competition in Bonn, a Prize at the 2006 Minnesota International Piano-e-Competition and the First Prize at the 2001 Aviv Competitions in Israel, where she was awarded the Guralnik Piano Prize as well as the Zilbermann Prize for best performance of a contemporary Israeli work and other competition prizes. She was a recipient of the AICF. In 2016 she joined the adjunct faculty at the Hochschule für Musik Freiburg, teaching chamber music. Since summer 2012 she is a collaborative pianist at Ravinia Festival’s Steans Music Institute in the USA. Her perfor-mances have been broadcasted in Europe, Israel and the USA. In 2005 she completed four years of study with Leon Fleisher at the Peabody Conservatory (Johns Hopkins University), earning a Master of Music with high honors and a Graduate Performance Diploma. Prior to that she received a Bachelor of Music with high honors from the Rubin Music Academy of the Tel Aviv University under the instruction of Prof. Emanuel Krasovsky, and her early education was with Hadassa Gonen at the Israel Conservatory Tel Aviv. Other piano guidance includes that of Elisso Virsaladze, Richard Goode and Prof. Zvi Meniker (on historical fortepianos). She is currently based in Berlin, Germany.